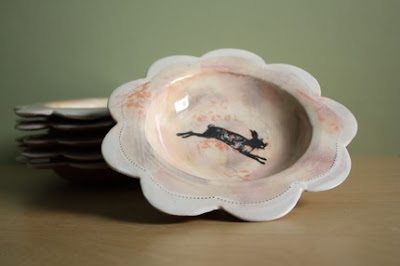 I love everything about this bowl - the darling shape, the sweet bird (or even better, the bunny), the muted floral pattern, the ecru base, the dotted scallops.... You'll find these themes throughout pinkkiss - definitely not a shop to miss! Lovely bowls! I like the bunny best! Sweet bowls. 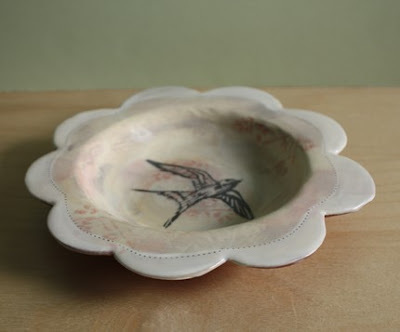 I love the swallows..
We had swallows nesting this year along with bluebirds. I just wrote a short blog on our bluebirds.